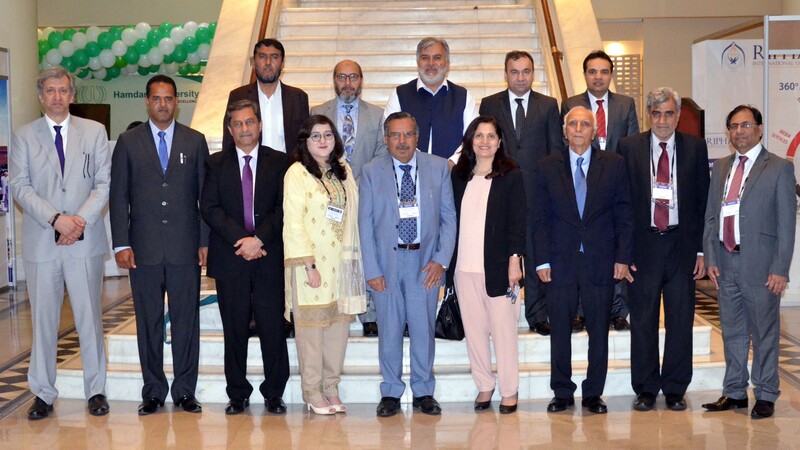 I am extremely happy to welcome all the Deans of Business Schools in Pakistan to the General Body meeting of Association of Management Development Institutions in Pakistan (AMDIP) and the NBEAC Annual Conference. 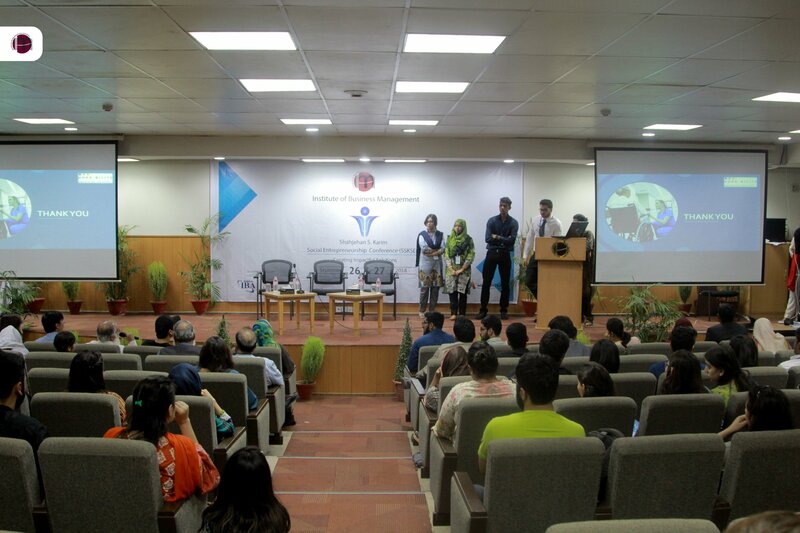 After several years of dormancy, AMDIP was revived in 2015 through its Annual Conference at IBA Karachi in February 2015, and an MPhil and PhD Scholars Research Conference held at the Lahore School of Economics in November 2015. 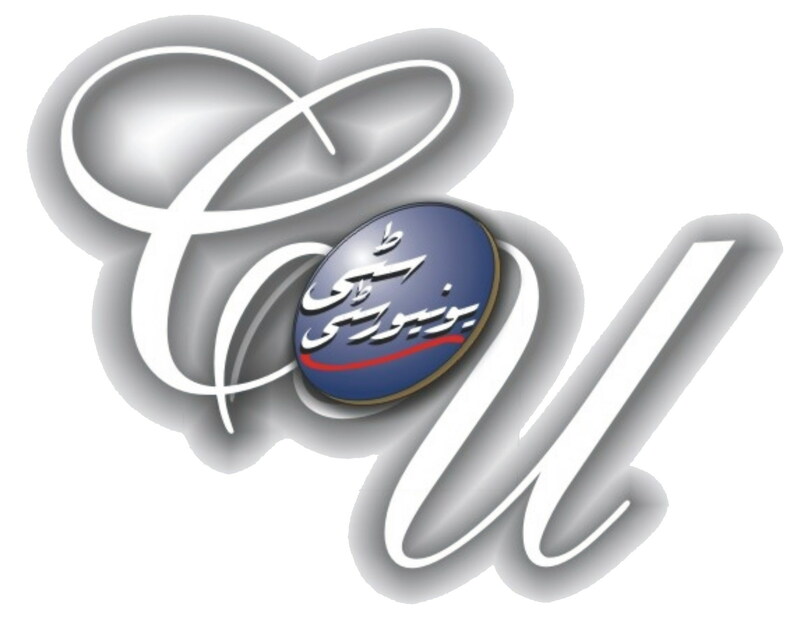 In the beginning of 2016 we are fortunate to have in place a full management team comprising of current chairperson/former chairpersons of AMDIP, chairpersons of local chapters including Karachi, Lahore, Islamabad, Sukkur, Peshawar and Quetta and a full time secretary. 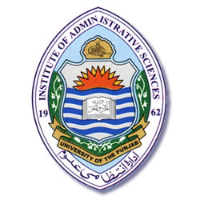 All the above chairpersons are scholars of management sciences and vice chancellors, rectors and directors of the leading business schools of Pakistan. 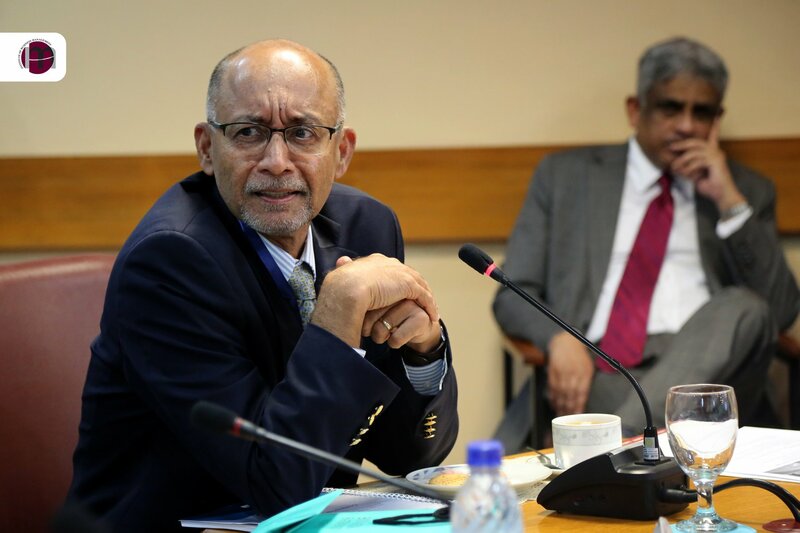 AMDIP is putting into place a series of programmes for its member universities and members in 2016. AMDIP is also focusing on enlarging its academic, corporate, management development institutions (MDI) and individual memberships during 2016 and beyond. With all these collaborative efforts, we hope to strengthen the management related capabilities of its members and management skills in all its collaborating and partner intuitions. 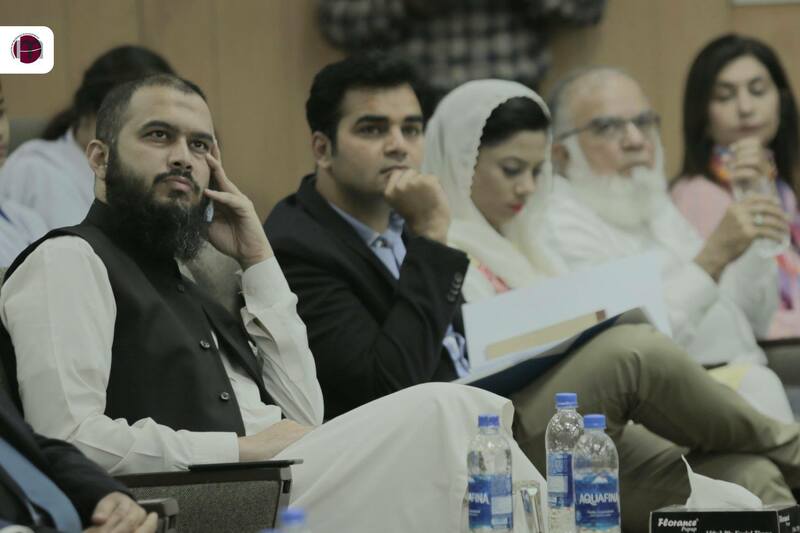 It has been my distinctive privilege to contribute towards launch of AMDIP in Pakistan. I recall the activities conducted in various cities and institutions in Pakistan and the satisfaction that was realized by all concerned. It is time for the revival and renewal of AMDIP in response to emerging challenges. 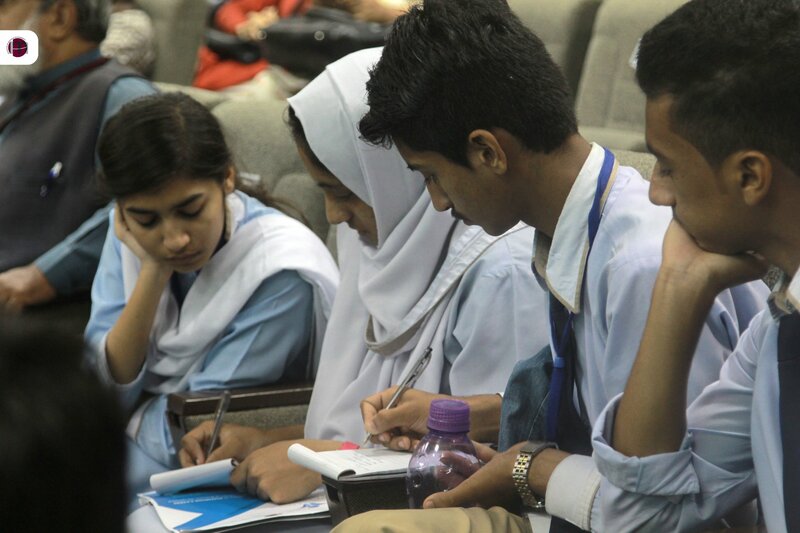 The field of business education in Pakistan would tremendously benefit from collaborative thinking and collective learning leading to overall development of teaching and research in years to come. The institutional boundaries are significantly important and define the existence and ensure sustainability as well as unique competitive superiority. But there is a limit to growth within boundary. The cross institutional linkages and bridges can lead to such value addition and enrich experiences which cannot be gained otherwise. I earnestly appeal to the leadership of the business schools to engage their respective institution with AMDIP and utilize this forum for interaction and joint activities. 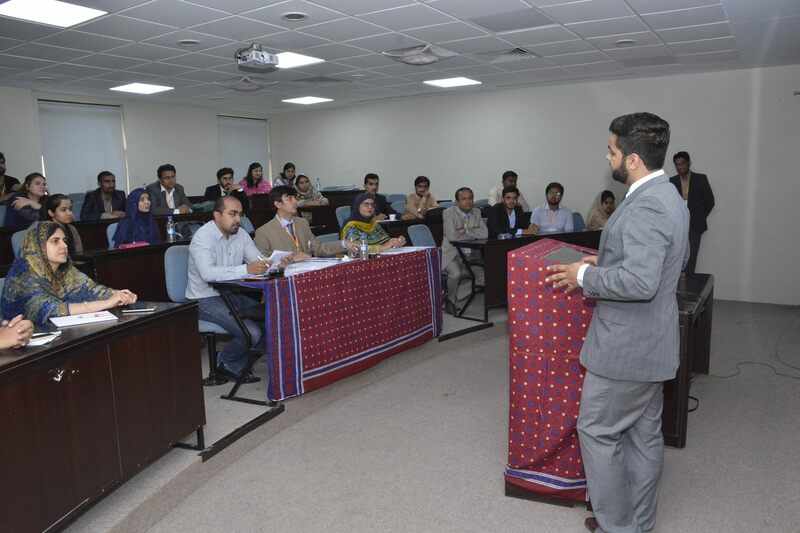 This would be beneficial for students and faculty as well as corporate sector. 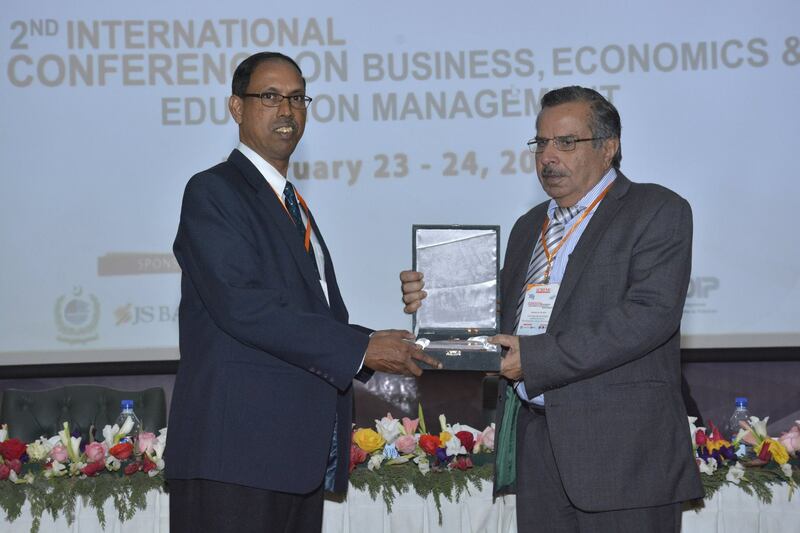 We need to simply follow how associations of business schools in USA (AACSB) and Europe (EFMD) and in our neighboring country India (IMA) have evolved over a period of time and addressed the needs of the field of business education. 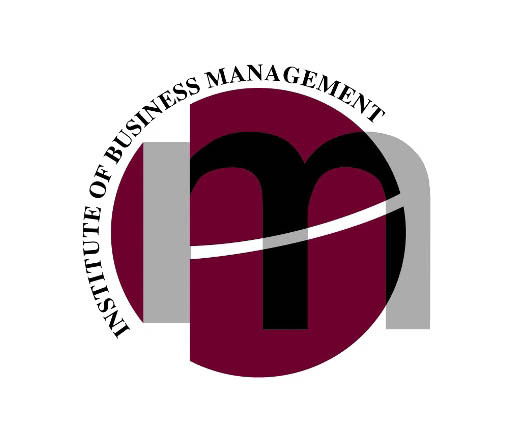 The work of this association has helped business schools transform themselves into quality institutions, train leadership, and creatively respond to the challenges. 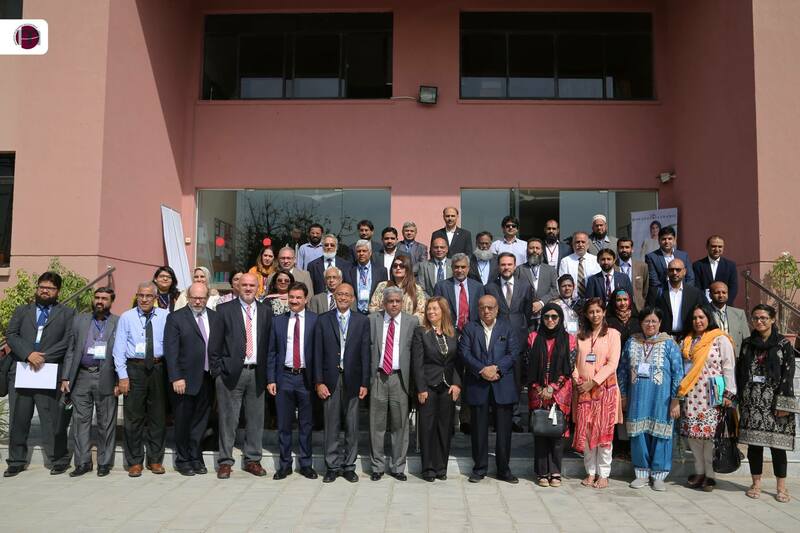 AMDIP just has to emulate AACSB and EFMD in terms of its organizational structure and strategies given the context of the landscape of business education in Pakistan. 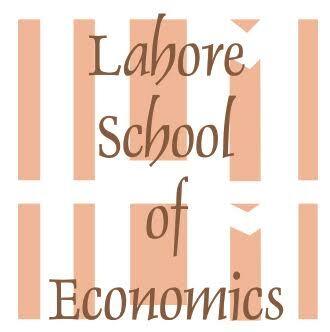 I hope that this restart would lead to a new life and ever growing and expanding institutional existence benefiting all stakeholders of business education. The Association of Management Development Institutions in Pakistan (AMDIP) was formed in 2001, by a team of leading educationists and management development gurus of the country with a clear vision of management development in Pakistan. 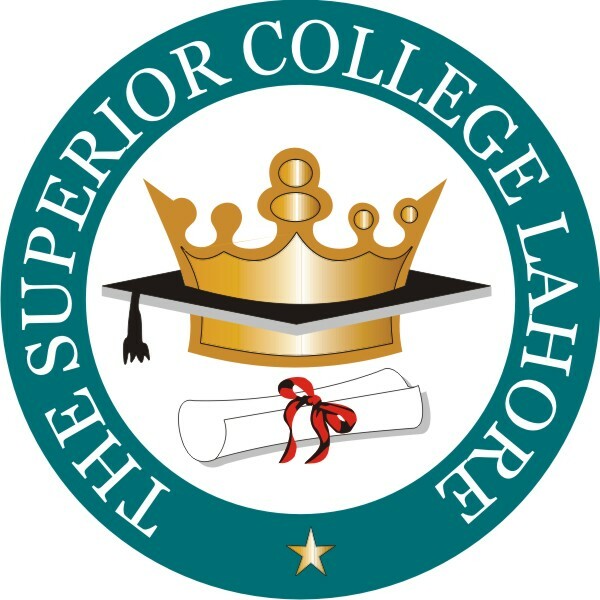 The national secretariat of AMDIP is in Lahore, Pakistan, the center of education and land of old civilization with the touch of modern era. 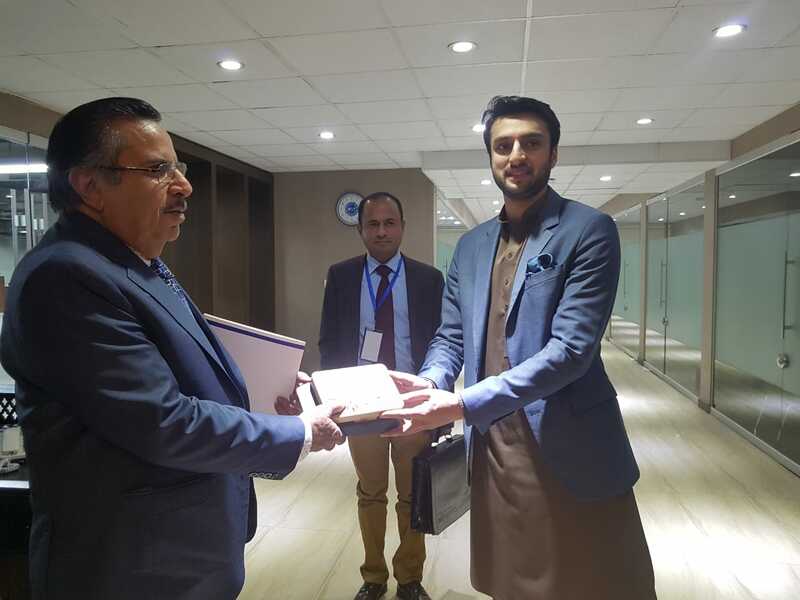 Vice President AMDISA, Prof.Nisar A. Siddique met with President UMT, Mr. Ibrahim Hasan Murad and Secretary AMDIP, Ms. Memoona Zareen at University of Management and Technology, Lahore. 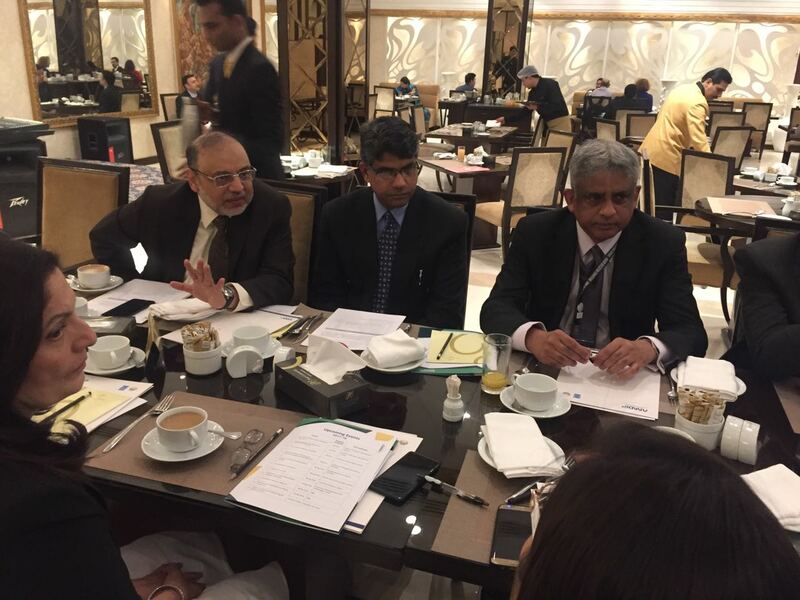 Agenda of the meeting was callaboration for upcoming 15th South Asian Management Forum. 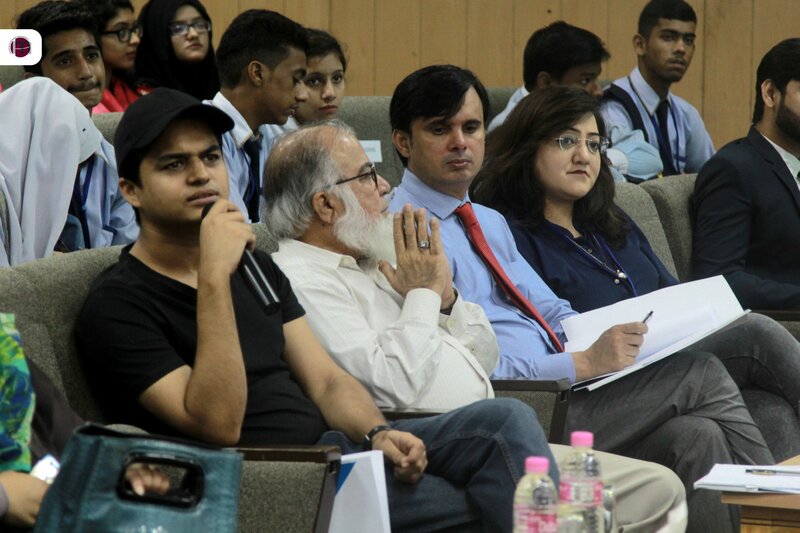 Shahjehan Syed Karim Social Entrepreneurship Conference was organized on 26th-27th September 2018 with the aim to helpentrepreneurs build a sustainable model for their enterprise that could help solve various social problems without the dependence on external funds. 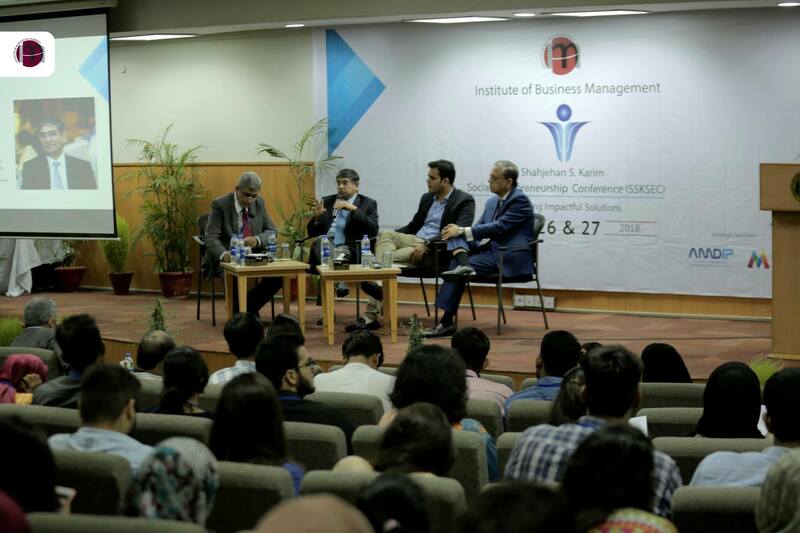 The key-note speaker Mr. Nadeem Hussain, Founder of Planet N Group of Companies shared his experience of creating a social enterprise worth USD 410m. 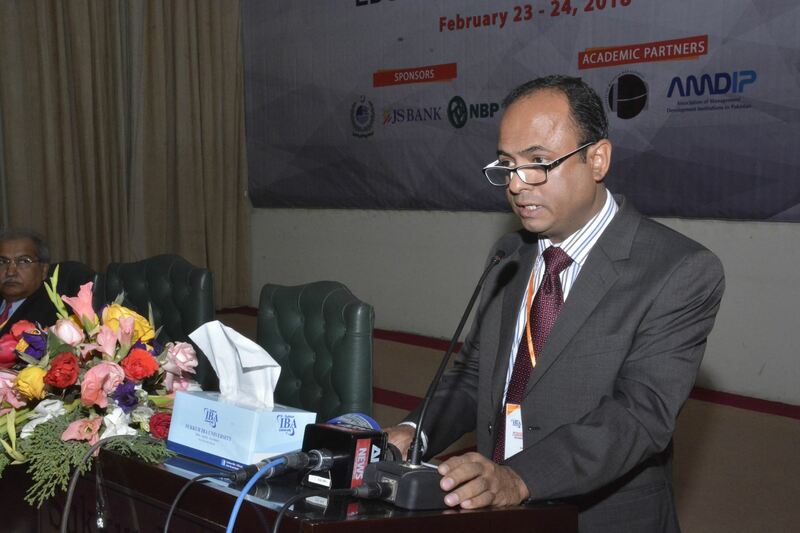 The 2ndInternational Conference on Business, Economics, and Education Management (ICBEM-2018) was organized by Institute of Business Administration (IBA), Sukkur in partnership with Association of Management Development Institutions in Pakistan (AMDIP) on February 23-34, 2018 at IBA-Sukkur. 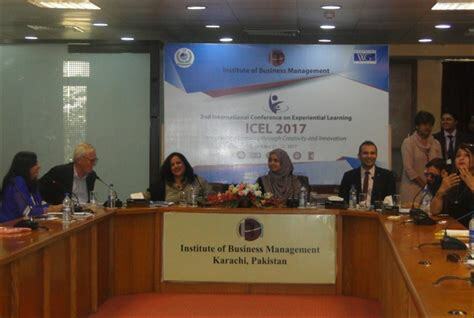 Other Partners of the conference were Higher Education Commission (HEC) Pakistan, Institute of Business Administration (IBA), Karachi and Institute of Business Management (IOBM), Karachi. 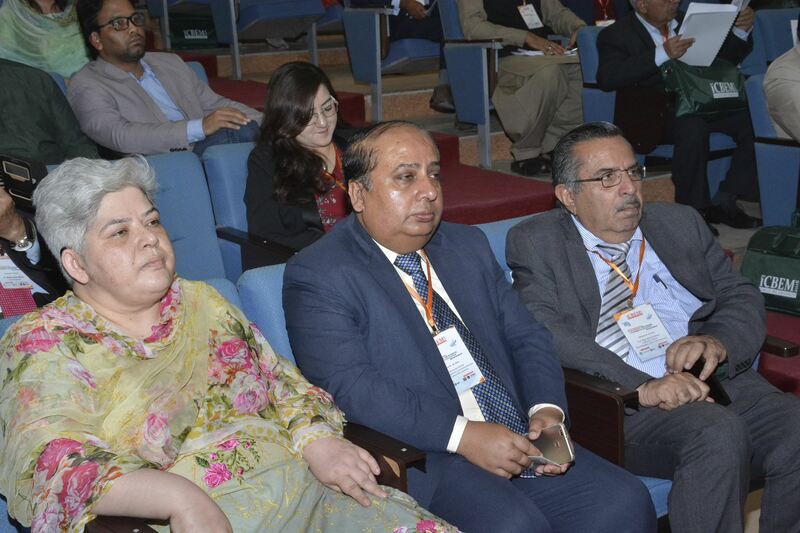 Sponsors of the conference were National Bank of Pakistan (NBP) and JS Bank. 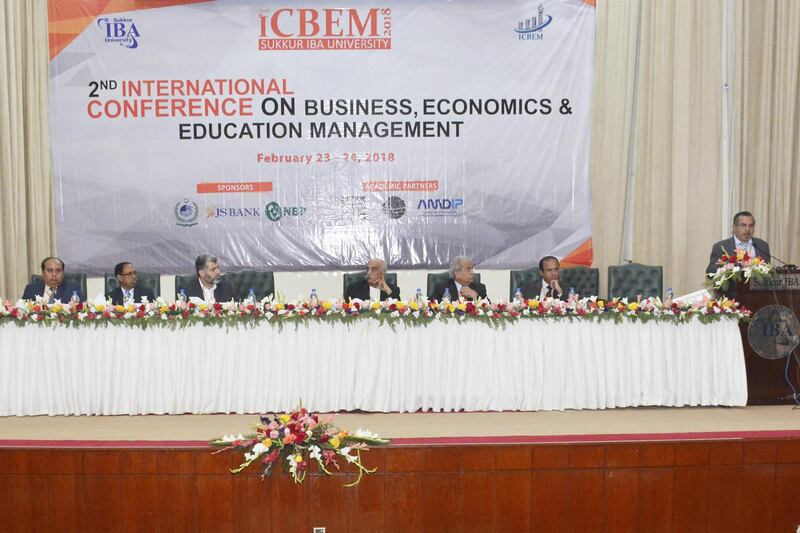 The theme of 2nd ICBEM was to study “The Deliberations on Contemporary Asian Management Practices”. 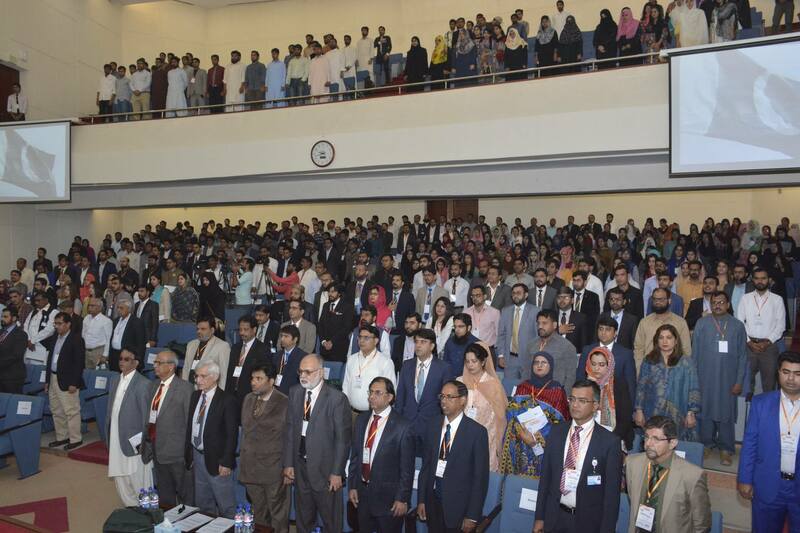 The primary objective of the conference was to provide a platform to scholars, researchers, and policy makers to present their empirical work and highlight issues and opportunities emerging on the existing frontiers of local and regional economies. 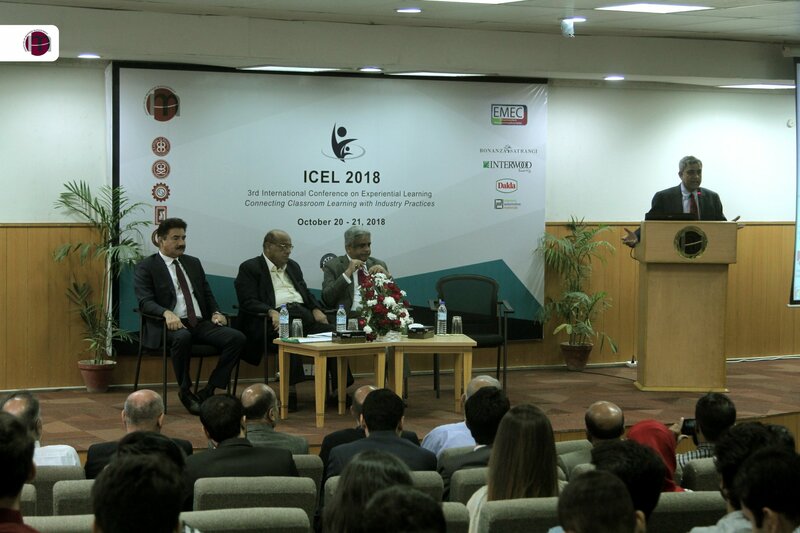 This conference also aimed to raise theoretical questions and discussions on Business, Economics and Education Management concepts that have been of paramount importance globally in general, and locally, which will help everyone to understand the developing trends from Asian management perspectives, and provide a solid foundation for business development, management and its consequences. 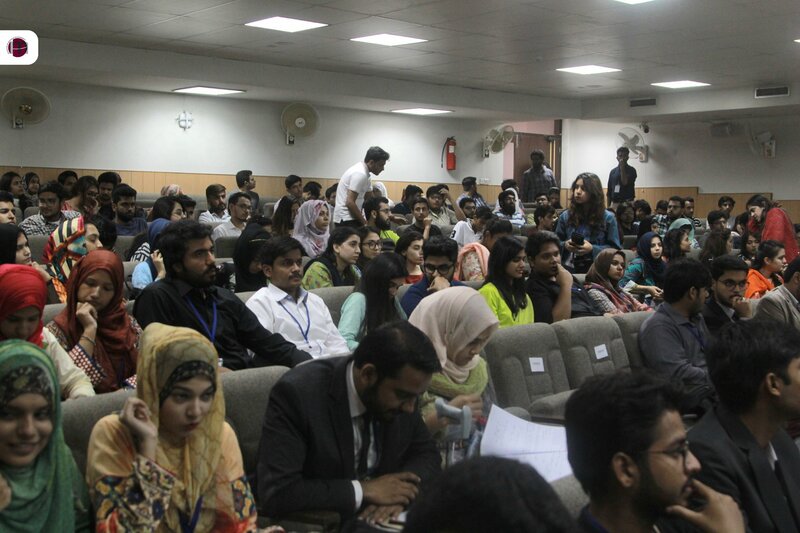 The Conference spread was over six days which started on 21st February and lasted till 26th February 2018. 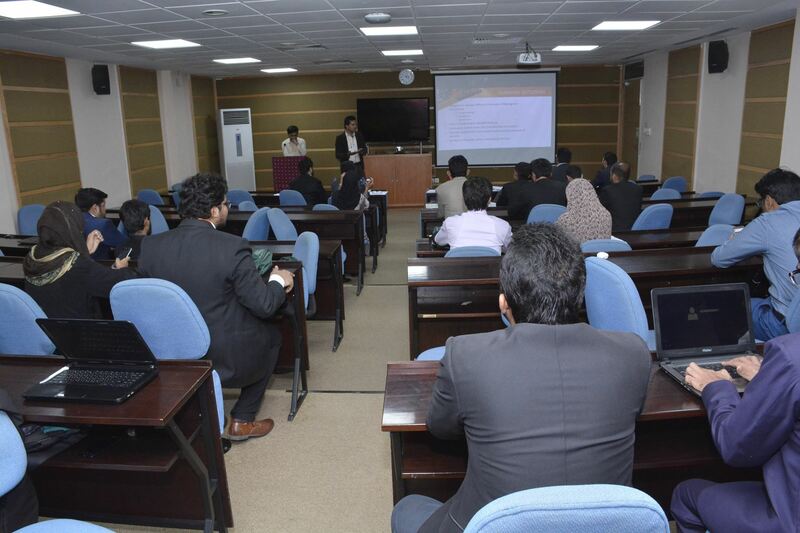 During the first two days a workshop on “Structural Equation Modeling (SEM) for Survey Research using Smart PLS: A Hands-On Approach” was conducted by Prof T. Ramayah. 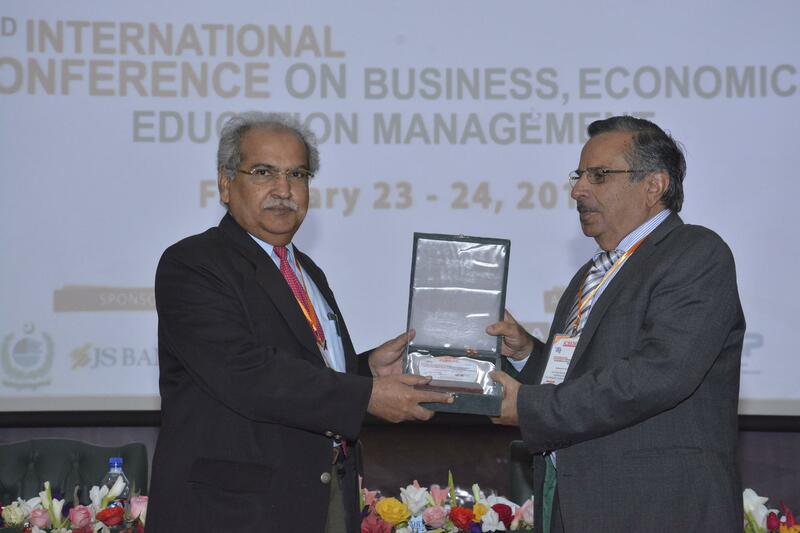 After that the two days International Conference on Business, Economics & Education Management was held on 23-24thFebruary in which all the national and international delegates participated including session leads, key note speakers, research scholars, discussants and learners. 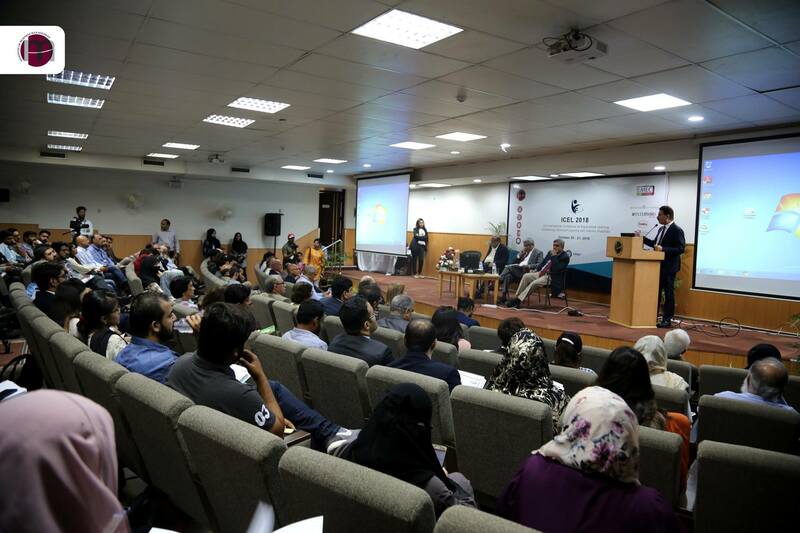 In two days of conference researchers presented their papers and case studies and key note speakers from different countries shared their views on specific problems that we are currently facing in perspective of Contemporary Asian Management Practices. 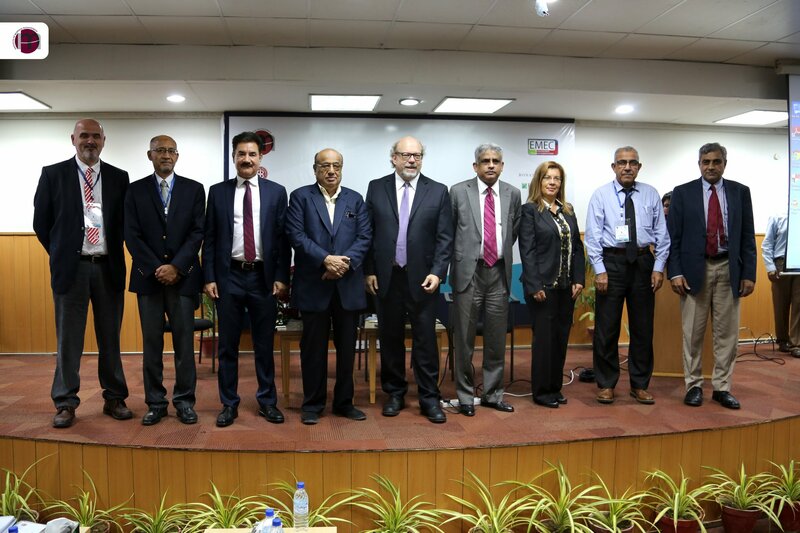 The key note speakers included Dr. Rosella Castellano, Professor and Researcher at University of Macerata, Italy, Prof. Ramayah Tharasamy, Professor at School of Management University Sains, Malaysia, Dr. Mohammad Memon Chairman BISE Hyderabad and Dr. Dawood Ashraf, Senior Researcher at Islamic Research and Training Institute Bangor University, Saudi Arabia shed light on the economic reforms and changing economic trends and promote savings to safeguard future. 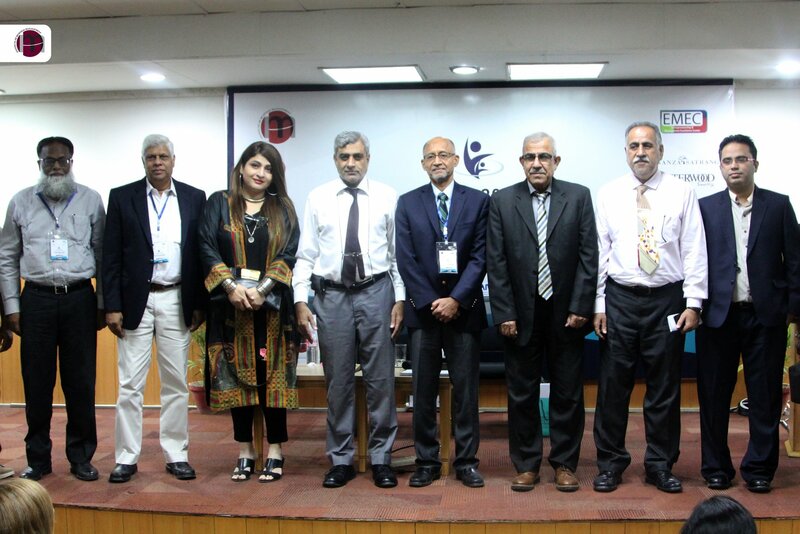 Panelists including Dr. Ijaz Shafi Gillani, Head of Gallup Pakistan, Dr. Mohammad Zaki Rashdi, Director and Associate Dean at Iqra University, Dr. Tariq Kaleem, Executive Director at Institute of Chartered Accountants Pakistan and Ms. Almas Abbas and others held brain-storming sessions on economic and educational reforms. Souvenirs were distributed among the winners for Best Paper, Best Student Paper, and Best-Case Study. 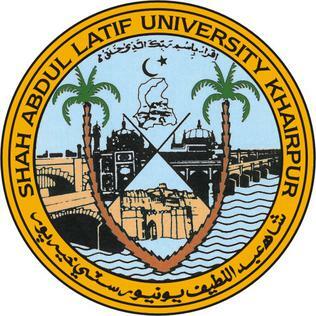 The Post-Conference Workshop held on 25-26th February which was conducted by Dr. Mujeeb-ur-Rehman and Dr. Sheeraz Mustafa on “Data Management, Time Series and Panel Data Analysis using STATA”. 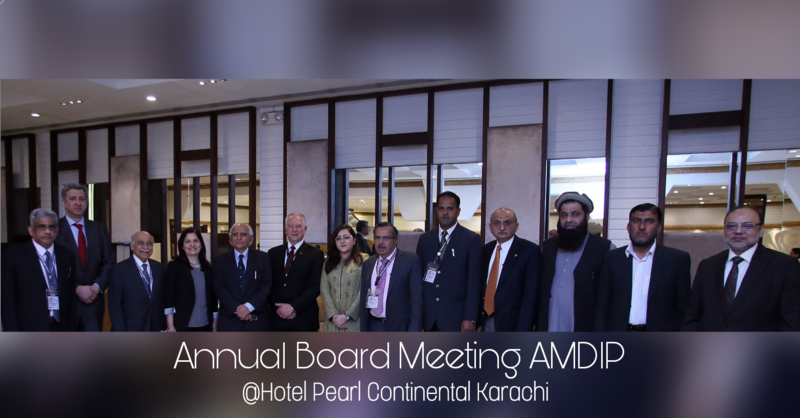 The 3rd Annual Board Meeting of AMDIP was held on February 06, 2018 at hotel Pearl Continental, Karachi during 5th Deans and Directors Conference by NBEAC, HEC, Pakistan. 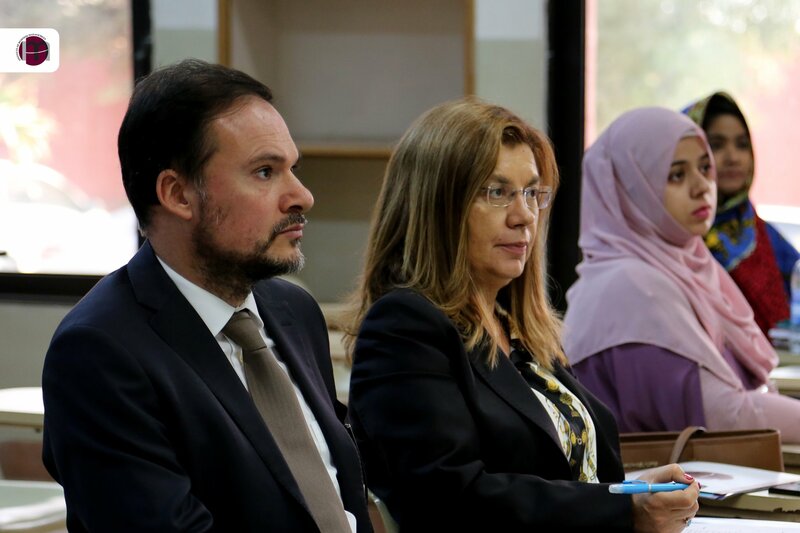 All Board Members that include; Chairperson, Founding Chairperson, Secretary, Chairperson of Local Chapters and representatives from selective business schools participated in the Board Meeting. 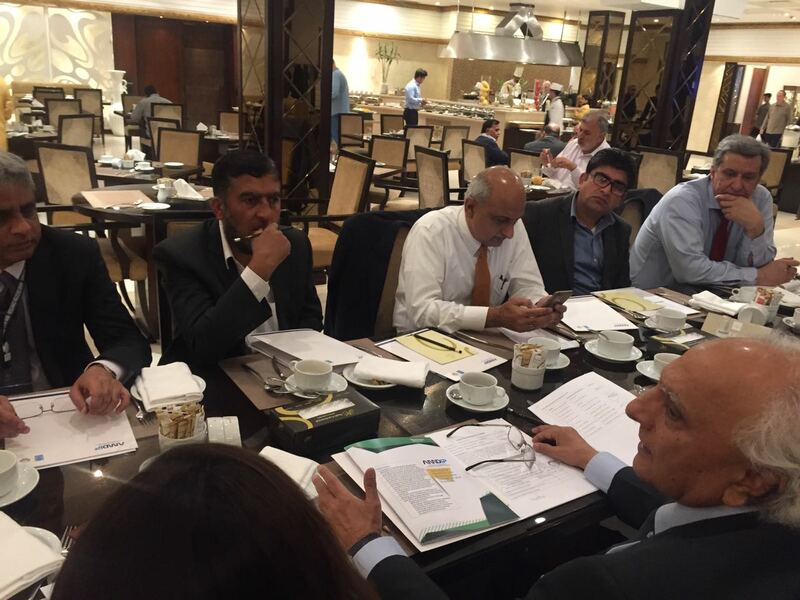 The meeting was aimed to review the past year performance, highlight the opportunities and design future road map for AMDIP. 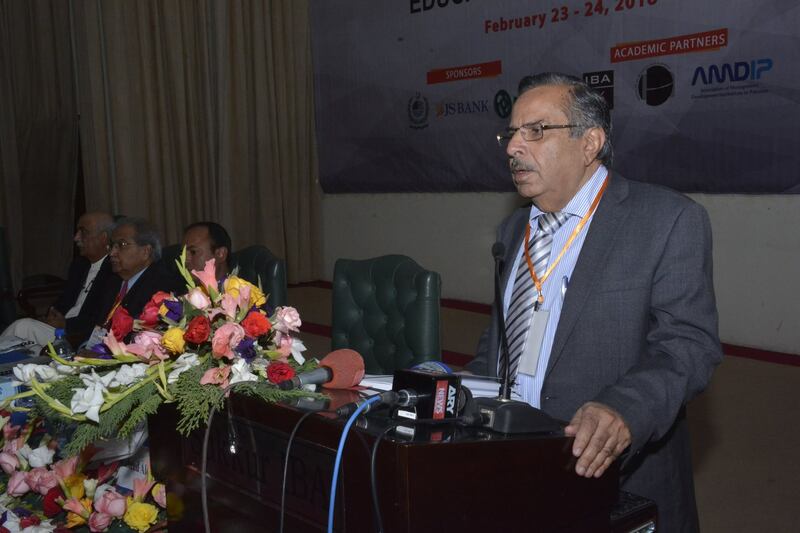 Dr. Shahid Amjad Chaudhry (Chairperson AMDIP) welcomed all the participants and thanked the business schools who actively participated in the mission of AMDIP that is striving for excellence in management education and practices through collaborative efforts. 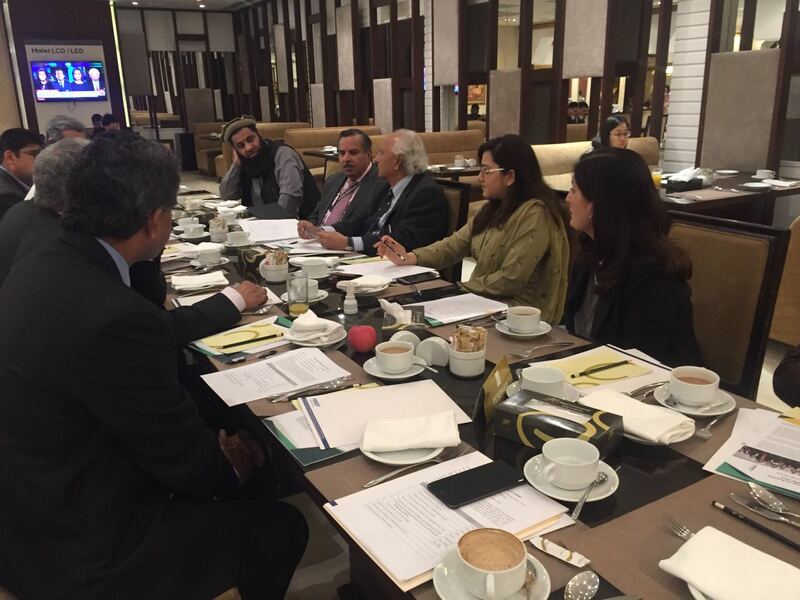 Ms. Memoona Zareen (Secretary AMDIP) gave a brief review of the activities organized or partnered by AMDIP in the year 2017-18 and presented the agenda of the meeting including the plan for next year activities. 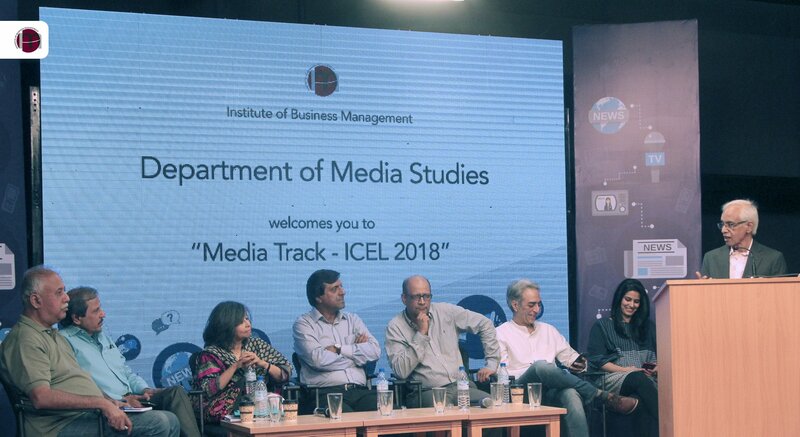 Future road map was discussed by all chapter chairperson, and representatives of member institutions also share their insight on the opportunities and challenges business schools are facing. 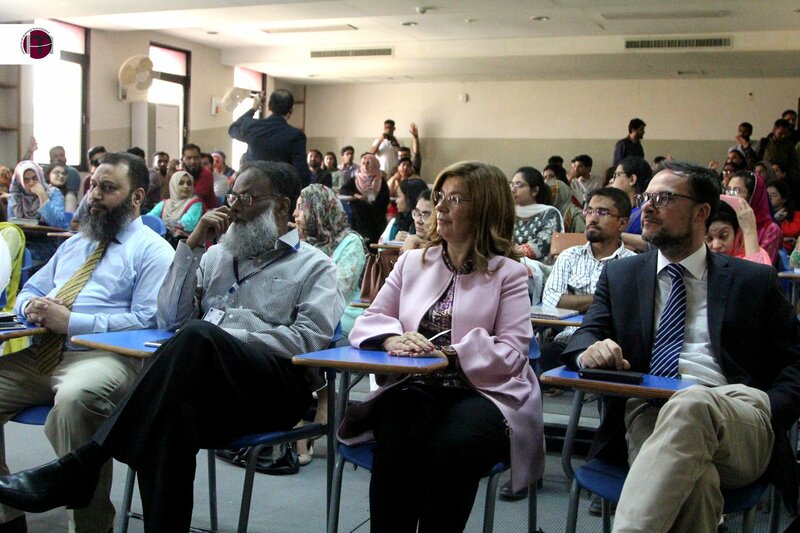 It was decided that teaching and learning conferences would be organized on regional levels to discuss on going practices as well as innovation in teaching methodology, pedagogy, course contents and outlines. This conference will have a clear focus on faculty and teaching practices. 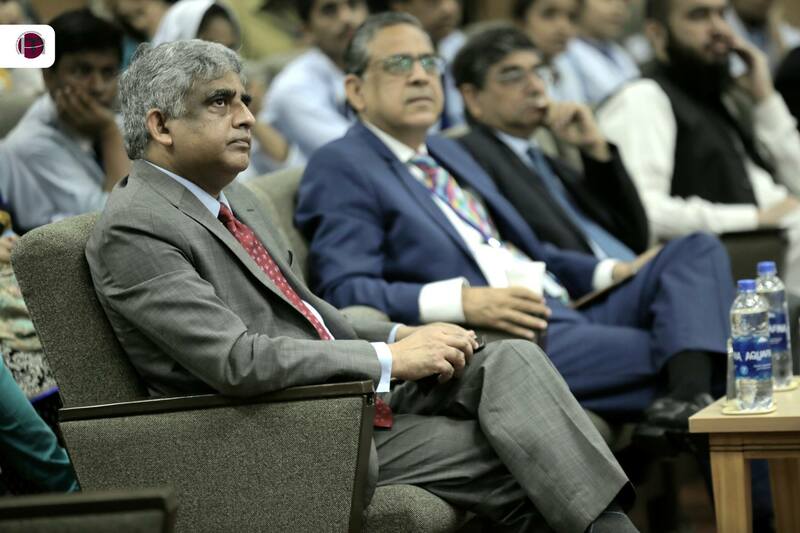 To foster the experiential learning, A conference on Experiential Learning and Case-Writing will be organized jointly by LUMS and AMDIP under the guidance of Dr. Syed Zahoor Hassan, Professor, LUMS. 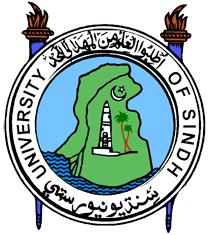 Further to that AMDIP would develop a Centralized Cases Repository that will comprise on cases written on local Industry and a Business Programs Directory about specialized business programs being taught in Pakistani Universities. 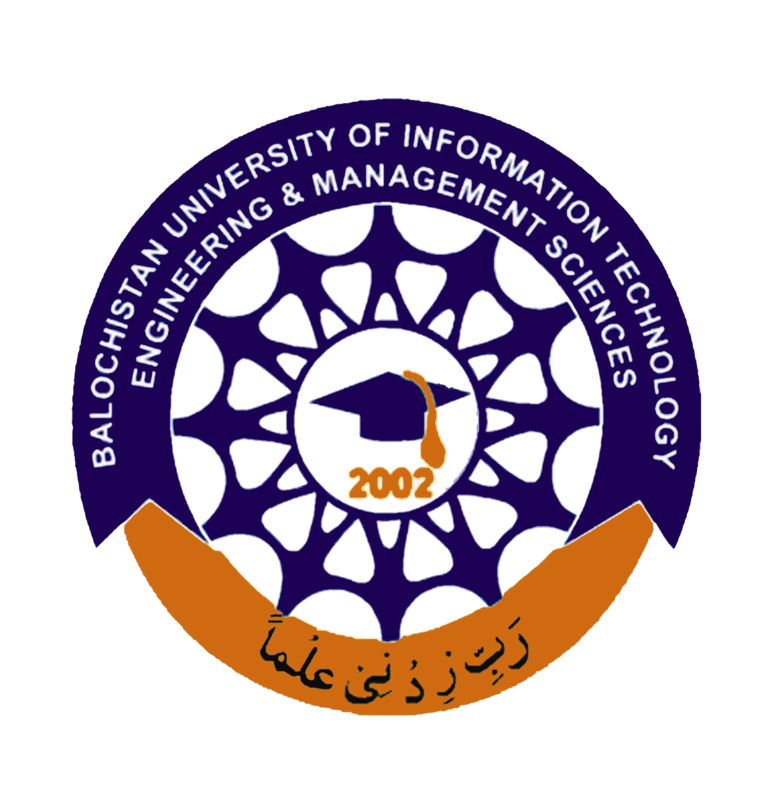 It will contain the information of each program including road map, courses, contents, outlines and teaching materials and would be benefice all business schools. 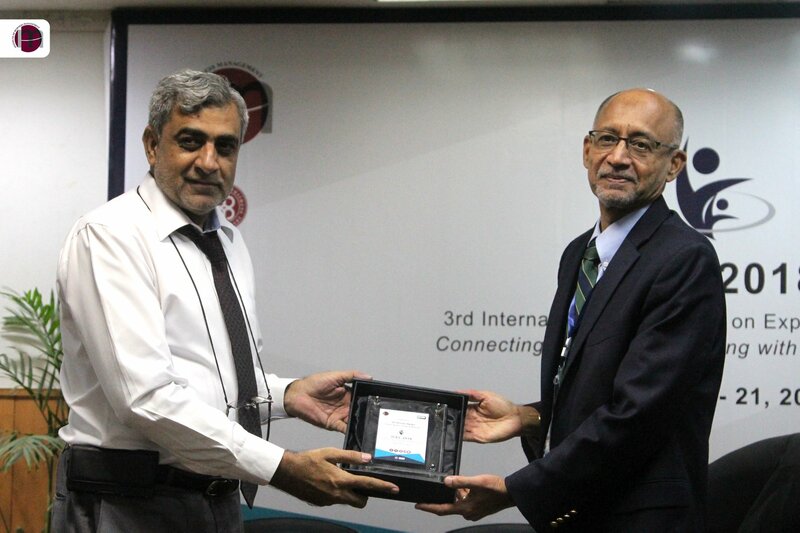 The meeting ended with a vote of thanks by Dr. Shahid Amjad Chaudhry. The China–Pakistan Economic Corridor (CPEC) has secured overwhelming response around the globe. 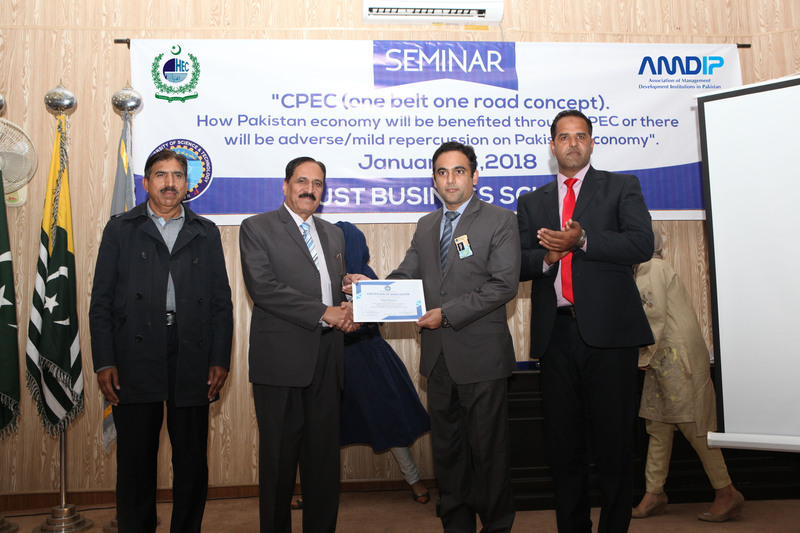 MUST Business School, Mirpur University of Science and Technology (MUST) with the collaboration of Association of Management Development Institutions in Pakistan (AMDIP) and HEC arranged a seminar on “How Pakistan Economy will be Benefited through CPEC or there will be Adverse Mild Repercussion on Pakistan Economy” on January 16, 2018 to create awareness about this value able project. 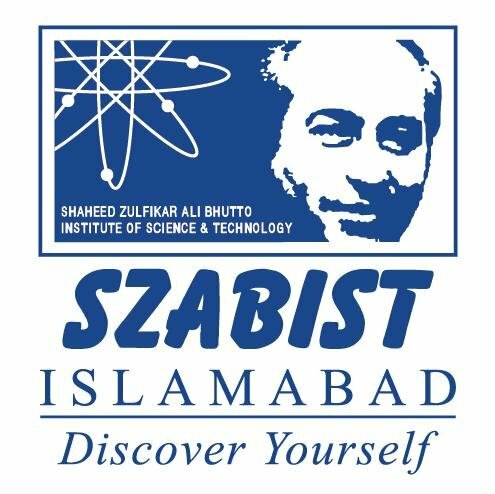 The seminar was chaired by Prof. Dr. Habib-ur-Rehman (S.I) and the gusts speaker was Raja Mazhar Hameed Associate Professor Iqra University Islamabad Campus. 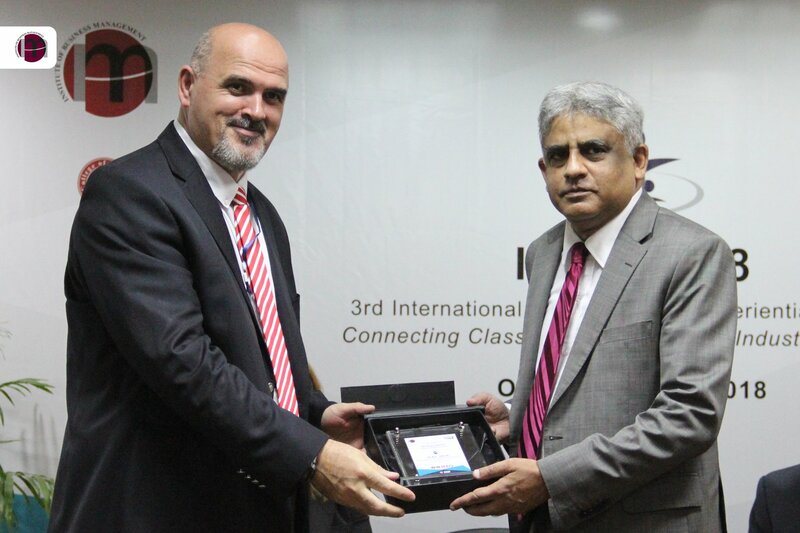 Muhammad Khalique Director MUST Business School gave an introductory speech and provided an insightful thought about the major pillars of CPEC such as connectivity, infrastructure, tourism, energy and education. 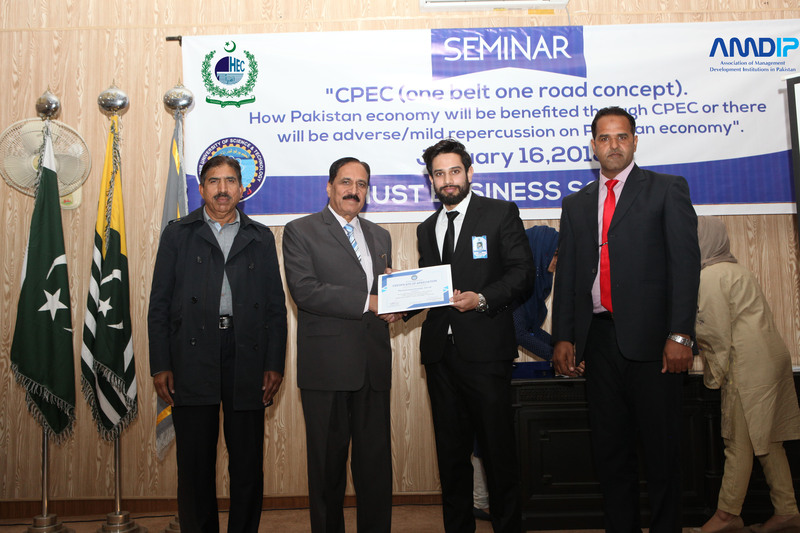 He stated that CPEC will bring huge opportunities for job-seekers as there would be more than 700,000 jobs for young graduates and it will solve 80% of energy crisis of Pakistan. He emphasized that the business graduates are required to acquire soft skills and quality education to grab the potential market. 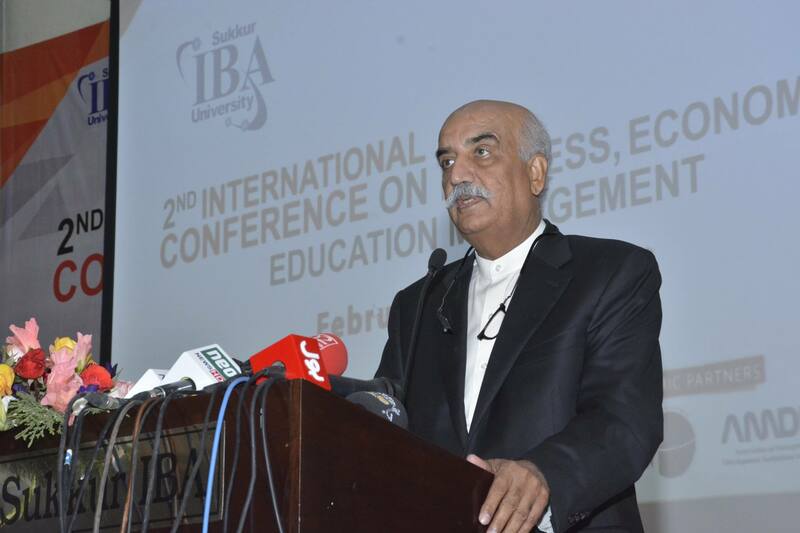 He further said that the MUST Business School is completely aware about the current and future challenges and had launched a compulsory course on CPEC at undergraduate and masters level; becoming the first ever business school of Pakistan to introduce this course. 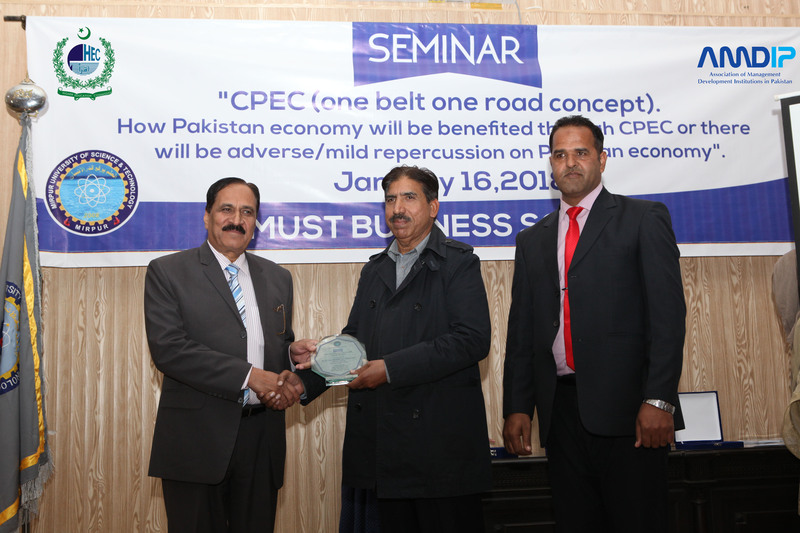 The guest speaker Raja Mazhar Hameed addressed on the pros and cons of CPEC and highlighted the complete routes of CPEC in Pakistan. 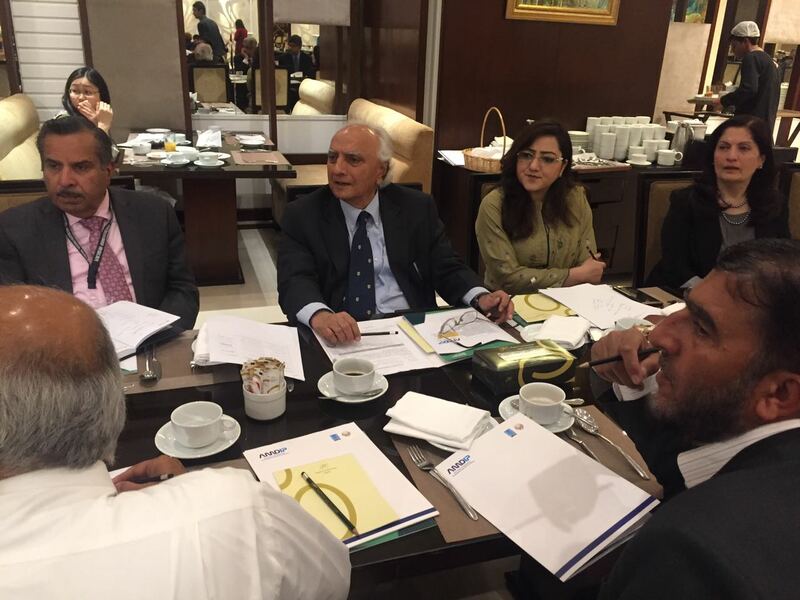 He discussed in detail the political economy, justice system and linked it with CPEC in a befitted manner. 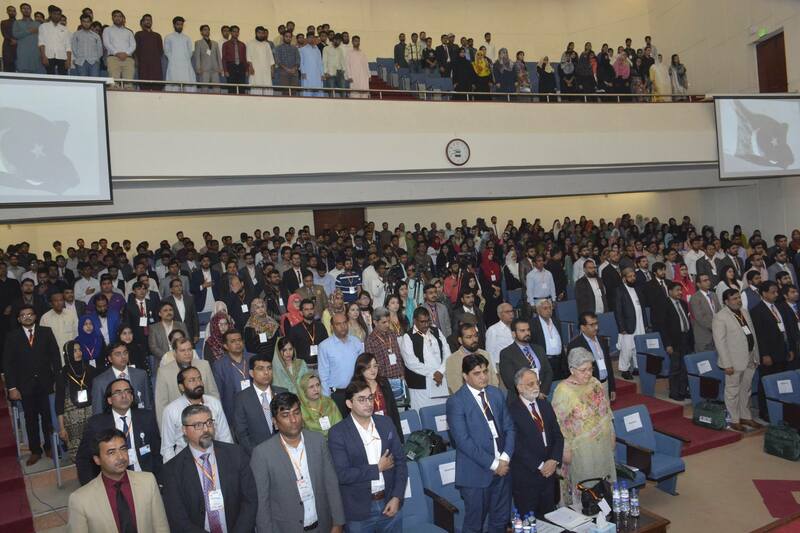 In the end the vice chancellor of MUST Prof. Dr. Habib ur Rehman shared his valuable thoughts with a packed hall of audience. 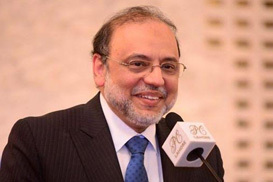 He said that doubtfully CPEC is a game changer for the state of Pakistan and the people of Pakistan, but we have to be proactive in our decision to take the maximum pie of the CPEC. History saturated with such example where Pakistan could have sought for more leverage in its relationship with other countries but the leadership never asserted itself, turning a golden opportunity into a waste. He further said that another golden opportunity is at our door and the need of hour is to avail it. 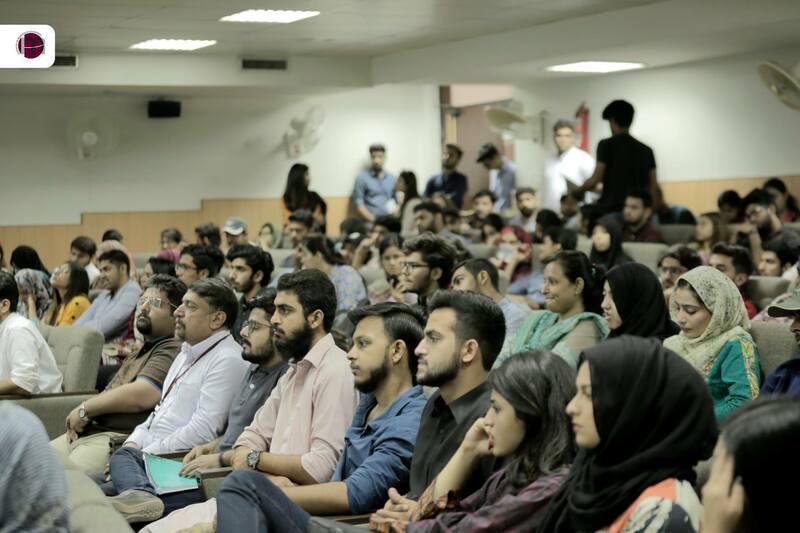 In his concluding remarks he appreciated the efforts of the organizers namely Mr. Adeel Razaq, Mr. Abdul Majid Lecturer MBS and the students. 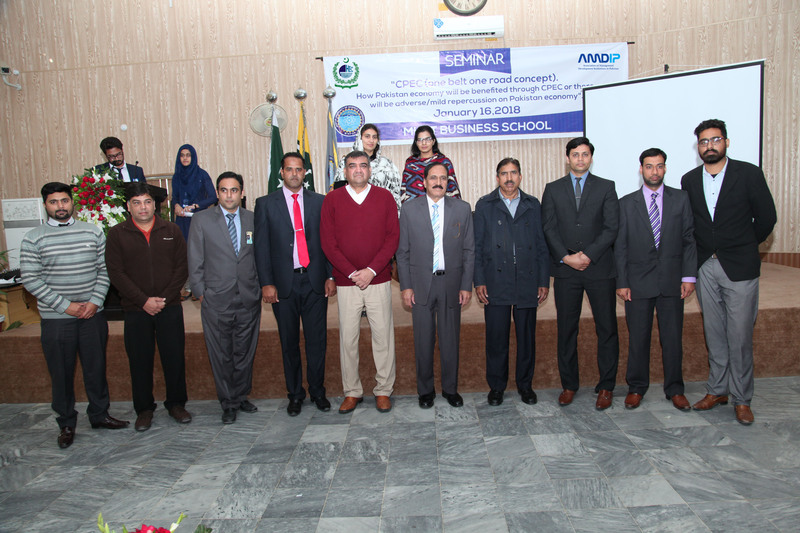 A large numbers of faculty members, students including Dr. Khalique, Chairperson AMDIP Azad kashmir Chapter/Director IMS, MUST, Registrar MUST, Prof. Engr. 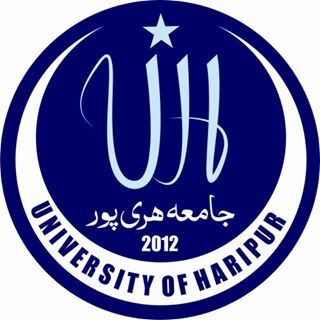 Muhammad Waris Jarral, Dean Faculty of Arts Prof. Dr. Maqsood Ahmed, Director Student Affairs Engr. 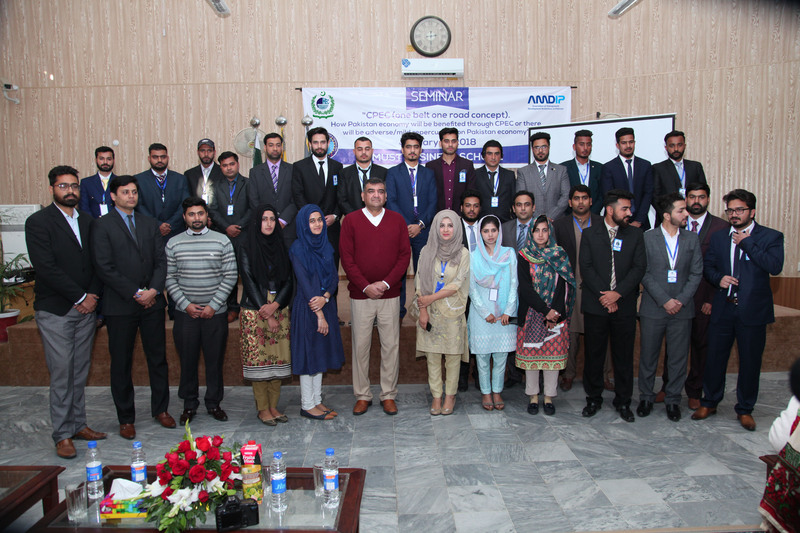 Shahid Amin and Director Students Financial Aids Mr. Farooq Ahmed Pirzahida participated in the seminar.